He was born in Kypseli Artas in 1920. His parents were farmers. He grew up in Athens. He started photographing, while he was studying in Giannina, little time before World War 2. 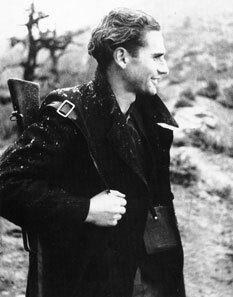 He took part in the national armed resistance (1941-44) and he photographed the armed rebellious fight against Nazi in Epirus. In 1951, he began working in The Public Power Corporation. He was the first cameraman of the Greek television, during the testing broadcast from Thessaloniki's International Exhibition.